Flooring, flooring and more flooring. Need to replace a couple of broken ceiling tiles? Welcome to The Building Recyclers Porirua. We have Wellington’s widest range of new and used house parts, and it’s all under cover! Not only are we Recyclers of clean and tidy house parts, but we also manufacture new timber joinery products in our premises, so if you’re looking to renovate, pop in to see us! 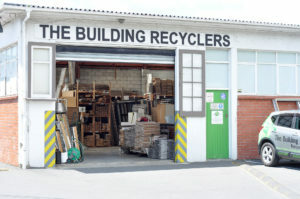 Welcome to The Building Recyclers Porirua, Wellington’s widest range of new and used house parts, all under cover! Call us or call in.